Denmark’s fourth-largest city, and its most northerly, has undergone a renaissance while maintaining its historical feel in the cobbled streets and half-timbered buildings of the old town. 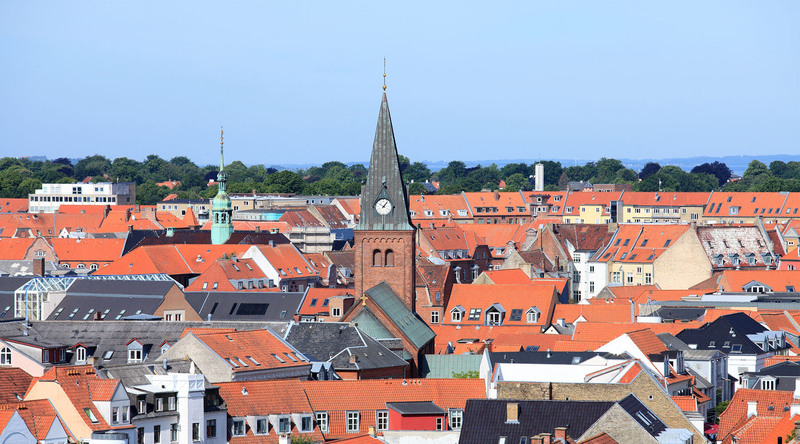 Aalborg is not largely known to tourists, yet, but it’s a small, charming place that will have you marvelling from the moment you arrive in the city. If you’re in search of Viking territory, Aalborg is home to Scandanavia’s largest Viking burial site. Visit early or later in the day to catch the sunlight glinting off the burial stones. This zoo specializes in the breeding of near-extinct animals, including the Siberian Tiger, but there are 1,300 animals to see including zebras, the rare oryx antelope, and polar bears. Keep your head up for the sloths that climb freely overhead in the South American house. All located only a 15-minute drive from the city. Appealing to the art lover as well as the architect, the museum houses a permanent collection of Danish and international art, including special exhibitions, a sculpture park, and an amphitheatre. The modular, marble building, designed by the great Finnish architect Alvar Aalto, is a beautiful complement to the works it houses. If you’re in search of Viking lore you must pay a trip to this burial ground on a hill above the city. At Lindholm Hoje you will see one of Scandinavia’s best-preserved Viking-findings—682 graves and 150 stone ships from the Viking age. Pay a visit to the fantastic museum and sample a beer made with heather, honey, bog myrtle and malt, based on a long-buried Viking brew uncovered by experts. Follow a local guide and beer lover on a stroll that stops at Aalborg’s most popular watering holes for a tasting of local brews. Journey back through the ages to the period of the Vikings as you visit an ancient ring fortress and a recreated Viking farmstead. Delve into Aalborg’s rich appreciation for the arts that has bolstered the city’s recent renaissance and reputation as a cultural center.